When I was little, my family had a tradition of going on a trip each summer. Whether we were visiting family in other states or just having a good time, we almost always drove because it was less expensive than flying. Every road trip began the same way: by packing up the car and taking Interstate 17 North to Flagstaff. 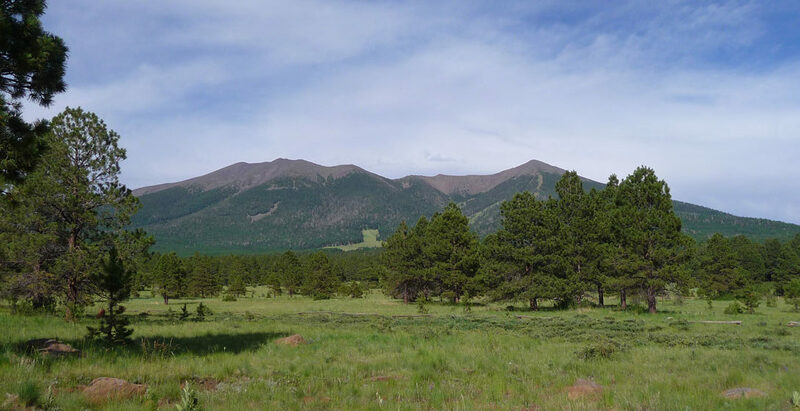 Although Flagstaff is only 120 miles away from Phoenix, it is almost 6,000 feet higher in elevation. Driving uphill on the freeway with a car full of people and supplies is not very fuel efficient, so we would always stop in Flagstaff to fill up the car, stretch our legs, and breathe in that fresh mountain air before continuing on our journey. Aside from the gas stations and restaurants along the main road, I never knew much about Flagstaff. That was the case until 2009, when I got the idea to take a day trip up north and see what Flagstaff had to offer. A good friend of mine was not only eager to come along; she even volunteered to drive! We picked a Saturday in July for our Flagstaff Adventure. The trip began with a stop at McDonald’s for breakfast. By 9am we were on the road, speeding north past the bright yellow sunflowers that lined both sides of the highway. The two of us had put together a list of things to see and do, and we both agreed that the Flagstaff Arboretum was the best place to start. Her car’s GPS directed us towards a dirt road just west of the city and we soon found the sign for the Arboretum. At about 10:45am we pulled into the parking lot, which was little more than a clearing between the trees. As we entered the visitor center, we were surprised to discover that the place was packed with people! As it turned out, the arboretum was having a huge plant sale that weekend. 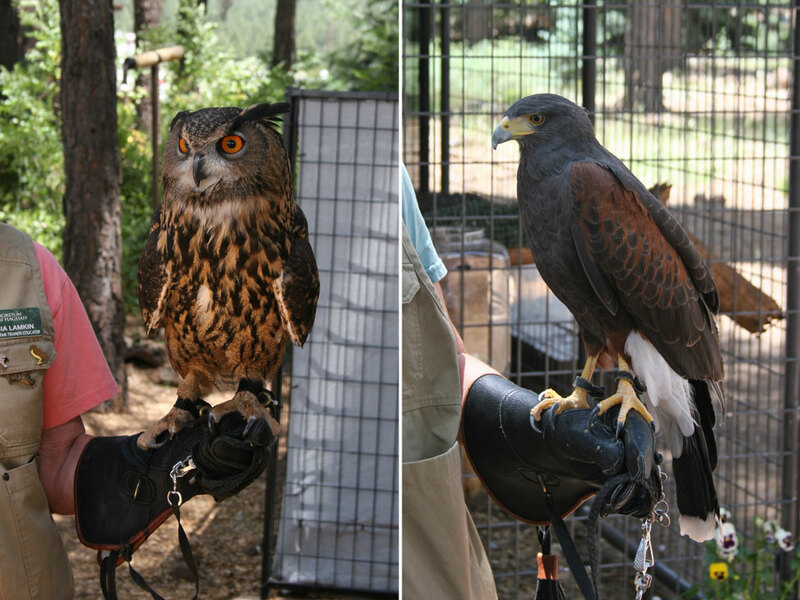 This once-a-year event featured free admission, free guided tours, and a birds of prey demonstration. A local radio station had a table set up and they were giving out prizes. We joined up with a tour group that was full of folks old enough to be my grandparents. 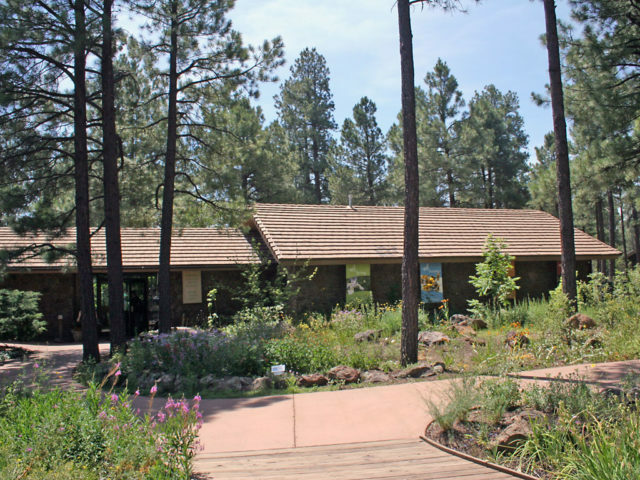 The tour lasted about an hour and we learned about the different types of plants native to the Flagstaff area. Birds of Prey exhibit at the Flagstaff Arboretum. When the tour ended, we headed over to check out the birds of prey exhibit. There we saw trainers holding owls, hawks and other winged predators on their arms, which were protected by some very thick gloves. I thought it was really cool to see some of these beautiful birds up close. After checking out the greenhouse and a few other points of interest, we left the Arboretum around noon. A short time later, we arrived at Lowell Observatory. 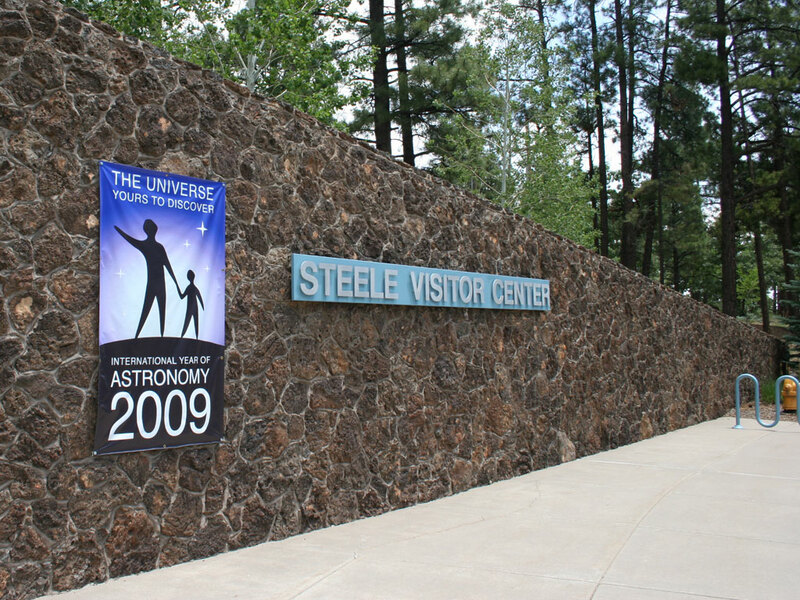 Lowell is one of Flagstaff’s most famous attractions as well as an active astronomical research facility. My friend and I purchased two tickets for the 1 o’clock guided tour. There were a few minutes before the tour started so we checked out the gift shop and a the many hands-on exhibits in the visitor center. Soon, the tour guide made the announcement and we all gathered outside. 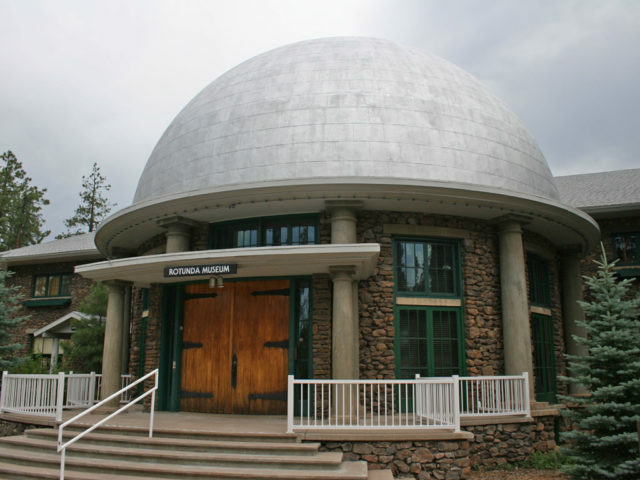 Visiting Lowell Observatory in Flagstaff. The skies were gray and the scent of rain was heavy in the air. 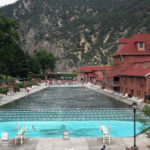 However, it did not rain as we walked the beautifully landscaped grounds and learned about Percival Lowell, the founder of Lowell Observatory. Percival was a wealthy businessman with a keen interest in science and astronomy. After a nationwide search, Lowell chose Flagstaff’s Mars Hill as the location for his observatory in 1894. He believed there was a celestial object beyond Neptune which he referred to as Planet X. Lowell searched for Planet X until his death in 1916 but did not find it. It was fourteen years after Lowell passed away when astronomer Clyde Tombaugh confirmed the existence of Pluto in 1930. The tour guide led us up the hill to the original 24-inch Clark Telescope which was installed in 1896. Though it is no longer used for research, it is still used as an educational tool. The old telescope has some interesting features such as the pie pan lens cap and the wooden dome that rotates on a track of 1950’s Ford Truck tires. While rudimentary by today’s standards, the Clark Telescope is still a very impressive sight! Next to the Clark Telescope is the mausoleum where Percival Lowell is interred. 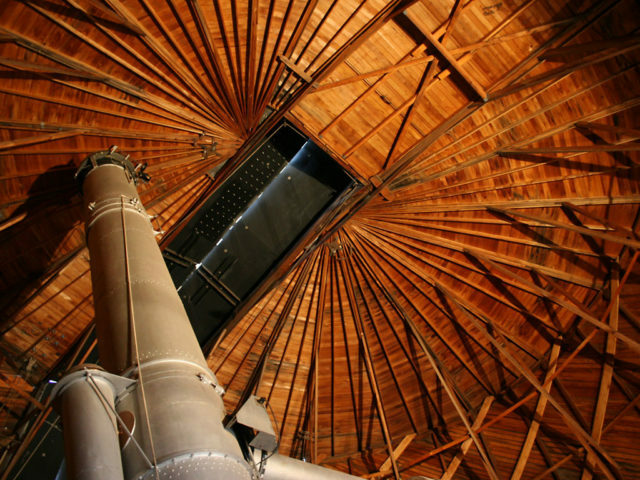 The tour guide mentioned that the domed structure is often mistaken for another telescope building. We passed by it as we headed back down the hill to the museum. The Rotunda Museum is filled with exhibits and artifacts about astronomy. The Rotunda Museum at Lowell contains a wealth of historic documents, information, and artifacts from the observatory’s past. Several exhibits were dedicated to the discovery of Pluto in great detail and the observatory’s role in creating lunar maps for the Apollo missions. As the tour wrapped up, my friend and I headed back to the car with our stomachs growling! We started driving down the mountain, only to stop again so we could take a few quick pictures of Flagstaff from above the treetops. It was about 2 o’clock when we arrived at Bun Huggers, a local burger joint that’s popular with the college crowd. Everything about the restaurant reminded me of Fuddruckers, from the self-serve layout right down to the kitschy bits of Americana plastered all over the walls. I ordered a cheeseburger and fries that really hit the spot! The next time you are in Flagstaff and you’re in the mood for a cooked-to-order burger, I definitely recommend that you try Bun Huggers! After we ate, my friend and I met up with another classmate from high school who lives in Flagstaff. We stopped by her apartment to rest for a minute before striking out on our next adventure. The three of us decided to go for a hike just outside of town at a place the girls knew about. We piled in the car and headed North on US Route 180. We turned off the highway on to an unpaved Forest Service road which we followed for a couple of miles. 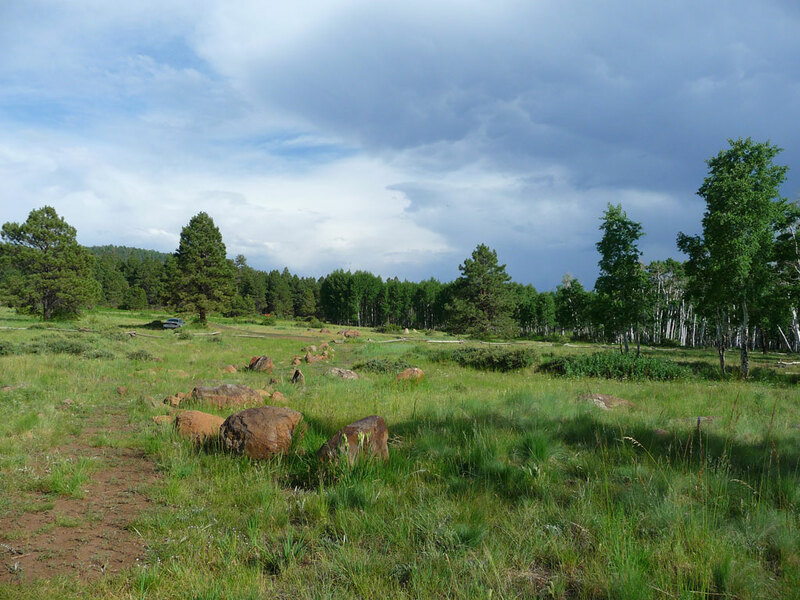 Hiking somewhere north of Flagstaff. The road took us through a large grove of Aspen trees where hundreds of people had carved their names into the white bark! Finally, we arrived at a meadow with lots of green grass and tall trees. We spent an hour or so meandering along the trails that snaked their way through the woods. The sounds of the meadow were quiet and relaxing, and it was a very peaceful place to take some great photos. It was a shame we had to leave, but with daylight fading fast we were eager to get back to town before dark. Our friend was house sitting for some friends of hers, so we stopped by their place to put some food out for the cat. We arrived in downtown Flagstaff about 8 o’clock and started discussing where to eat. The girls wanted Thai food, but I was really NOT keen on that idea. Somehow they talked me into it and we found a little place called Swaddee Thai that was only a couple of blocks away from the Coconino County Courthouse building. The air was filled with all sorts of exotic smells and the heat from the kitchen radiated throughout the whole restaurant. We were seated quickly and I ordered the chicken and rice. When the food arrived, my reservations about eating there disappeared. The food looked great and tasted good, too! The girls were happy with their meals and we paid the check and left. Taking photos of some of the many neon signs in Flagstaff before heading home to Phoenix. It felt good to step into the cool night air. I was eager to check out the neon motel signs of Flagstaff, which are the result of the city’s history of travelers passing through along Route 66. 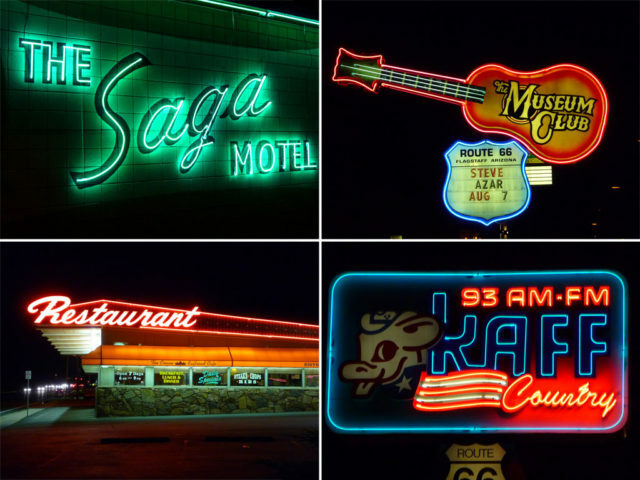 The three of us spent the next hour cruising along the main drag and snapping pictures of the glorious neon signs illuminated at night. Finally, it was time to say our goodbyes and head back to Phoenix. We jumped on Interstate 17 and headed back home without stopping. My friend and I made it back to Phoenix just after 11pm, exhausted from our full day of adventure. The trip gave me some great insights into Flagstaff’s history and culture. From the famous observatory watching over the town like a sentry to the scenic backcountry and the charm of downtown with its historic brick buildings, I really feel like I got the full Flagstaff experience. All my life Flagstaff has been the stopping point on the way to somewhere else. This time, I was glad I had chosen Flagstaff as the destination!